This April 29, 2015, @ 6:00 in the evening Soaring Eagle workshop is sharing with the American Indian Clinic the community night presentations. 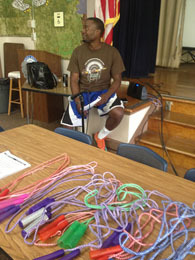 Ropes and Rhymes seemed to be the theme of tonights activity. All participants to the floor, well at least the kids. 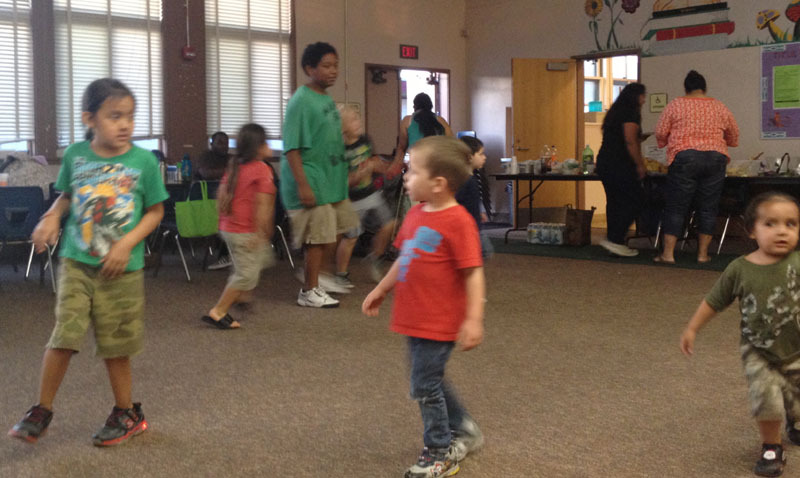 Smiles and energy all around as they followed the jump rope 'Raps and Rhymes' with counting out as many as they could to finish up the song. Ten seemed to be the minimum and maybe just so the younger ones were sure to count all their hops. Lots of fun for all . In the Workshop part of the evening Randy Edmonds shared some thoughts about what we try and teach the children through the Soaring Eagle program. All are traditional values of Tribal people. When we gather we come together with a good heart and spirit and welcome all who come in that way. We bring food to share so that everyone gets a chance to have something to eat. We talk to the Creator and he reminded us all that sometimes the Creator is the only one we have to talk to and the Creator is always there to listen and hear our words. 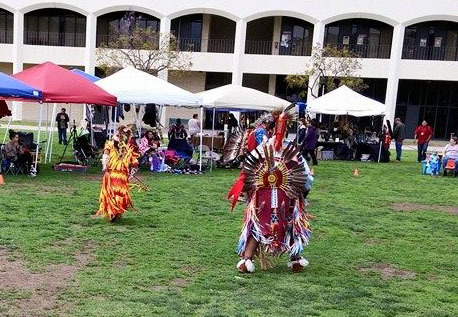 Randy also reviewed the SDSU Pow wow this past weekend and Thanked all who attended and helped to make it success. We included some pictures in this review to show our young dancers in the arena and applying the lessons learned here in the Workshop. 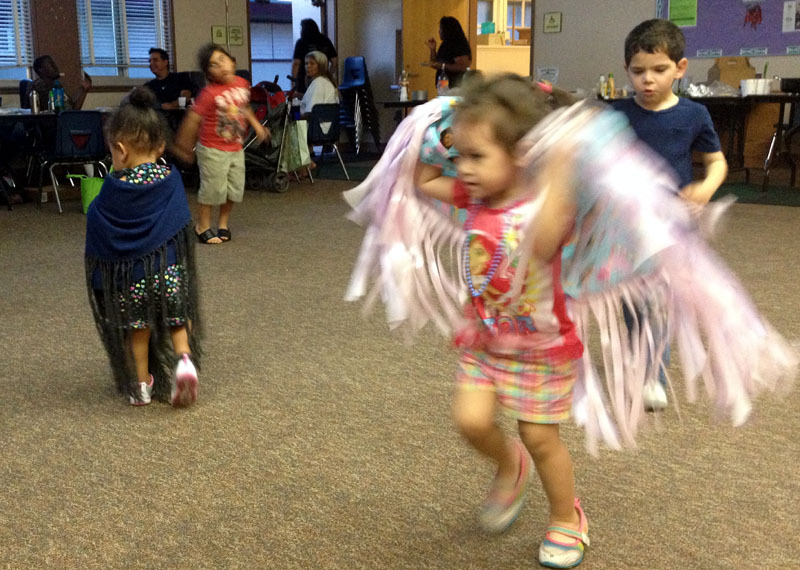 The Soaring Eagle program is all about the children. 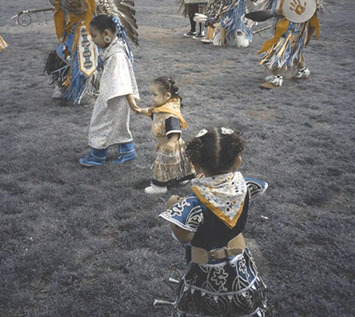 This quality and dedication is evident in the initiative, joy, pride of tribal identity and participation from beginning to end of the parents and children that are the Soaring Eagles.